We will show you things you have never seen! We would like to express our thanks for all you did to make our recent trip to Rome such a great success. Your company produced the service of a very high standard and the rent equipment required awaiting us at the hotel was a bonus in itself. We were, meet on time upon our arrival at the Rome Fiumicino Airport and the journey to our hotel was excellent. The driver was such a helpful and charming young man. He put himself out for us and nothing was too much trouble. The Tours of Rome with your driver was inspiring and informative, his local knowledge and obvious love of the city was to our good fortune. We enjoyed the experience of Rome which was made so much easier by the assistance of you and your company. 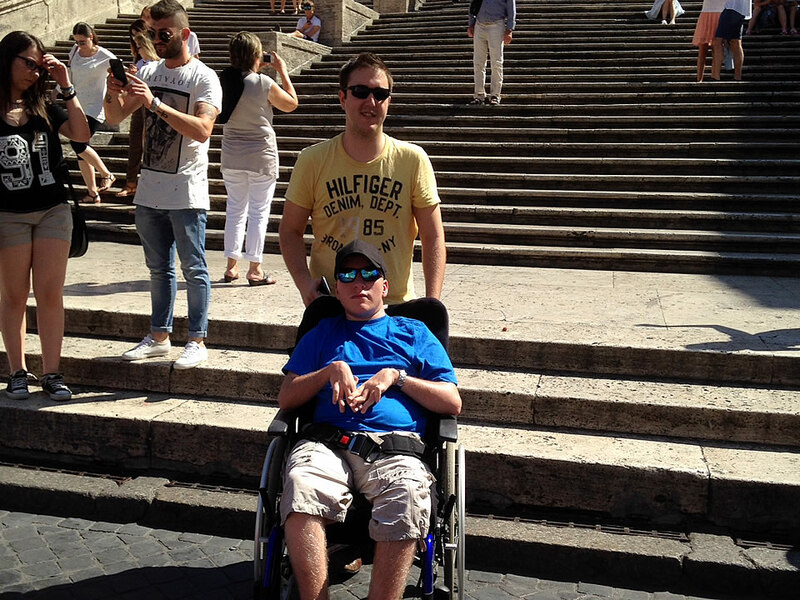 We would recommend Rome and Accessible Italian Holiday to anyone with a disability. Thank you for all you did for us and if ever we return to Rome we will be in touch. Best Wishes and thanks from The Davies Family, South Wales. Accessible Italian Holiday FREE coupon. Subscribe to our Italian accessible holiday services. FREE coupon on your next Italian holiday trip!